A number of years ago, I brought a small pit-bull cross home form the Pound. His name was Dante. Perhaps, in retrospect, I was buying him time. The two short years we spent together were both wondrous and fierce. In his wild animal, tamed tortured dog mix, he was an embodiment of nature/culture, a link to other languages, other worlds. Ultimately, entering the dark forest, his death collided with troubled questions of ‘assigning’ meaning and value to species other than us, and what is our relationship to, and understanding of, wild? I have been reading books that push towards the poetic end of the biology continuum between manipulation/control and poetry – titles such as, ‘The Spell of the Sensuous’ by David Abram and ‘The Tree of Meaning: Thirteen Talks’ and its companion book, ‘Everywhere Being is Dancing: Twenty Pieces of Thinking’, by Robert Bringhurst. They speak not only of a “shifting of our thinking and feeling about the place of humans in the world” but outline other ways of finding out, through poetry, biology and language, which challenge my existing knowledge-base and notions of wild. Speaking of the lure of the local, Bringhusrt writes from his home amidst this coastal British Columbia rainforest – the same forest of my study: “Where is language on this map? Where is it and where can it possibly be? Is language always a domesticated creature, or is it, or can it be, wild?”. Bringhurst refers to the ecology of a particular place; within an ecosystem, its languages, its natural history, its cultures, its forms, its myths, its poetry. I want to travel to these dark liminal forests of dense underbrush and archipelagoes – to protected areas north of Bella Coola; on Lyell Island of Haida Gwaii; near Port Renfrew on Vancouver Island and further north to Nootka Sound. I am looking for a different (truer?) 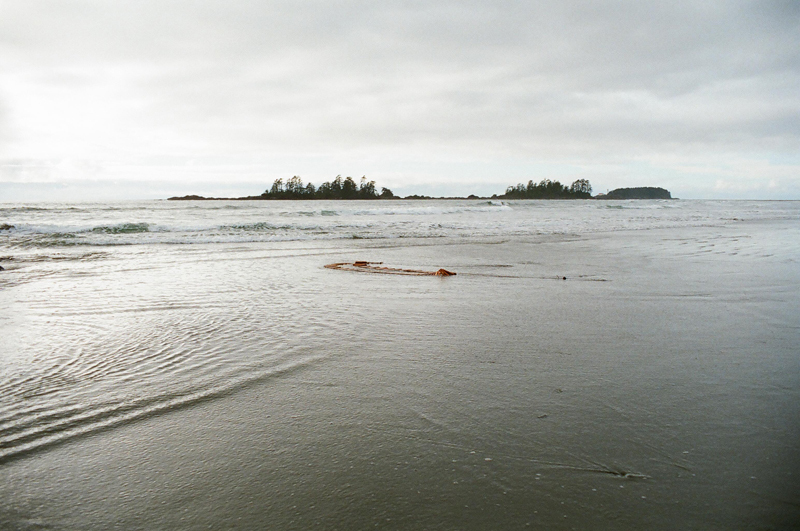 quality to come into my work pulling from multiple sources – local poets and storytellers of the Tsimshian, Haida and Nuuchahnulth people, processes of symbiotic and commensal associations, fieldwork and intrinsic meanings of natural systems. Robert Bringhurst, “The Tree of Meaning: Thirteen Talks, (Kentville, Nova Scotia: Gaspereau Press, 2006) p.261.